State chapter of national foundation giving children with serious disease their wish hires new Hispanic coordinator. 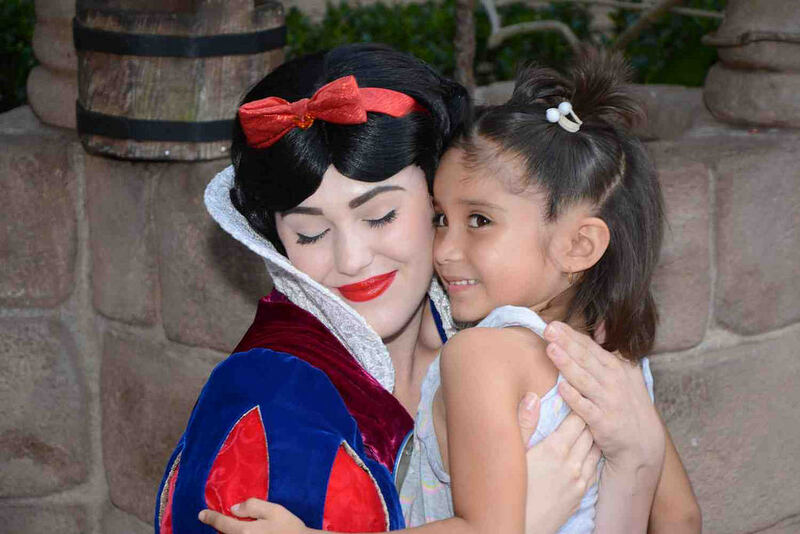 Ximena Contreras, 5, hugs Snow White during a trip to Disney World. Photo courtesy of Azucena Montes/NNS. Just like her favorite Disney princess, “Cinderelly,” Ximena Contreras has endured hardships but was granted a wish to make her dream come true — not by a fairy godmother, but the Make-A-Wish Foundation. On a recent Friday afternoon, Ximena is still wearing her school uniform, a blue polo and jumper, while watching cartoons. The 5-year-old kindergartner giggles with her sisters, wears her brown hair in pigtails and never strays far from her mother’s side as she talks about the family’s recent Make-A-Wish trip to Walt Disney World. After Ximena was diagnosed with cancer last year, Make-A-Wish approved her referral and started making arrangements to grant her wish. 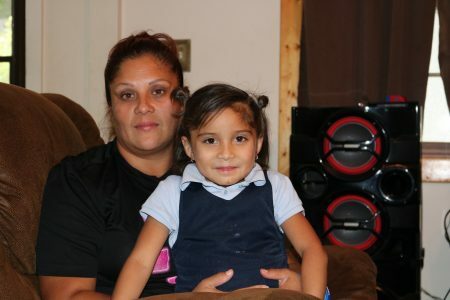 Azucena Montes holds her daughter, Ximena Contreras. Photo by Sophie Bolich/NNS. “We never imagined that we would go to Disney World,” she said. “Because it’s expensive and I have several kids, it would’ve been difficult. Montes was especially happy to spend time with all of her children at once. Ximena said the trip was fun for her, and she got to meet Mickey Mouse and lots of princesses. With the diagnosis and the trip, Montes said she felt like everything was happening very fast. Now she is readjusting to normal life and is focused on praying and doing everything she can for her daughter. “Sometimes I don’t want to think about it, but in my head I think about all that has happened and all the things she’s had to live through,” Montes said. Make-A-Wish connected with Ximena through a referral, which can be submitted by a medical professional, parents or legal guardians of the child, the child herself or any family member able to explain the child’s medical condition. 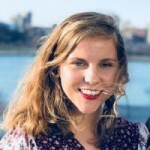 According to Yesica Desarden, mission outreach coordinator for the Wisconsin chapter of Make-A-Wish, about 500 children are diagnosed with a medically qualifying condition each year in Wisconsin; however, the foundation does not have sufficient resources to fulfill all of those children’s wishes. Desarden said Make-A-Wish has particular difficulty reaching Hispanic families, which is why her job was created in March. She is charged with recruiting Hispanic families in Wisconsin for the program. Desarden uses social media and connects with clinics to find potential wish recipients, but said she hopes to get more referrals directly from the community. With an uptick of referrals in the future, Make-A-Wish will need more volunteers to help coordinate wishes, and Desarden says her priority is to recruit Spanish-speaking volunteers. Desarden worked with Ximena and her family as the wish coordinator, and said Walt Disney World is one of the most common wishes for the kids. Though Montes said she would never want anyone to go through what Ximena and her family have endured, the wish experience was amazing. Make-A-Wish referrals can be made online by visiting wisconsin.wish.org/refer or over the phone for Spanish-speakers at 414-763-8668.